While I have been really busy, I have been catching up watching Space Dandy. I watched the first part of season 1 earlier this summer and when the second part came out, I had to check it out. Plus, Space Dandy is just good fun to watch before heading off to bed. First off, I want to talk about some of the expectations of Space Dandy. When the series was announced I had lofty expectations for it. Being a Shinichiro Watanabe title (Cowboy Bebop, Samurai Champloo, Terror in Resonance and more) it was hard to not expect great things. Personally, I expected a humorous version of Cowboy Bebop with over the top animation. However, the more I heard about the series, the more I realized it wasn’t that. I wasn’t the only one that had those expectations. I recall listening to an episode of the ANNCast where they covered Space Dandy, and they talked about fans having the same lofty expectations. Maybe it was part of this podcast that my mind was changed without knowing it. From a story perspective, Space Dandy doesn’t really tell a specific story. All of the episodes are practically stand alone episodes without you having to have previous knowledge outside of the first episode when the characters are introduced. There isn’t much of an over-arching story. I kept thinking there would be something like Cowboy Bebop, where one of the episodes would leave us a nugget for future episodes and maybe a handful of them string together to tell a story with lots of fun filler in between. That isn’t the case. Space Dandy the alien hunter and crew don’t have a long form story to tell, and that isn’t a bad thing unless you expect it. While Space Dandy may have a lot of standalone episodes, it works out. I was originally a little hesitant after the first part of season 1. I love stories and character development. In Space Dandy the characters are pretty straight forward and not much room for them to evolve over time. Having said that, Space Dandy is good fun. There may not be a developed story, but the comedy infused into the series makes up for that. Before I started the second half of season one, I rewatched the first half while working and the comedy and stand alone episodes made it for an enjoyable casual watch. The animation is Space Dandy has a lot of fun experimentation in it. Some episodes you can tell they had more room to explore than others but it works. Space Dandy has a variety of tones and animation styles and techniques to reflect it. I would suggest checking out Space Dandy at least once since it is a Watanabe title and also for the animation of it. If you saw Space Dandy, what were your thoughts? Last week sure was busy. I had something going on just about every day and had homework to fit in between everything. I went to a local art critique and had a gallery reception to attend as well. I got reacquainted with the Cosmic Rage files I was animating in since it has been a little while since I worked in the files due to coloring and inking the last couple weeks. Over the weekend I had to get caught up on homework. I will lose one night this week finishing up the project but it will be worth it and will be something fun to show off. The rest of the weekend was spent running errands and getting caught up on adult things that have piled up a bit. I also had to reorganize my desk since it turned into my office for a few weeks. The fall weather made quiet the dirt storm since I work with the windows open, so it was in need of a deep clean. What I am trying to say, is that I worked to clear my schedule so this week could be a heavy production week. Let the animating begin! BIG Announcement: Debut Screening Announced! Remember last week when I said I had some things going on behind-the-scenes? Well here part of it is. A DEBUT screening of Cosmic Rage is going to be held at a debut con, Siouxper Con, in my home state of South Dakota. I can’t really put into words how excited I am to get to debut Cosmic Rage in South Dakota. Many people here know of the project and have supported it. However, there wasn’t a great avenue to get it debuted to anime and comic minded fans. Enter Siouxper Con and their amazing staff for allowing me to debut my work in South Dakota. Following the screening, I will being a Q/A with those in attendance about the production of the project and also what the future holds for Cosmic Rage. Looking forward to seeing you there! Again, a big THANK YOU to the South Dakota Arts Council for supporting Cosmic Rage. An exciting 2016 starts now! It’s been a busy week with lots of behind the scenes work, so let me fill you in on everything from this past week. First off, I got all of the inking, coloring and shading that I had missed previously all done. From here on out, should be nothing but animating going forward. Also, as you have previously seen on the site, the closing date for voice auditions has been announced as well, November 13th. More information will be coming out about voice over roles once they are awarded. I had to get caught up on some homework this week. I am really excited for the way this project is turning out. I would like to post up the final project once it is completed. I might post up my previous project on the site this week since we just got them back from being graded. I also had a bit of freelance work to keep pushing forward on as well. These projects will be the ones I use to pay for the voice over talent on Cosmic Rage. Finally, I have been working on getting things laid out for 2016 and setting up screenings for the first episode of Cosmic Rage at conventions. So, if there is a con in particular you would like to see Cosmic Rage at, shoot me an email, message or even tweet at me and I will see if I can fit the con in. 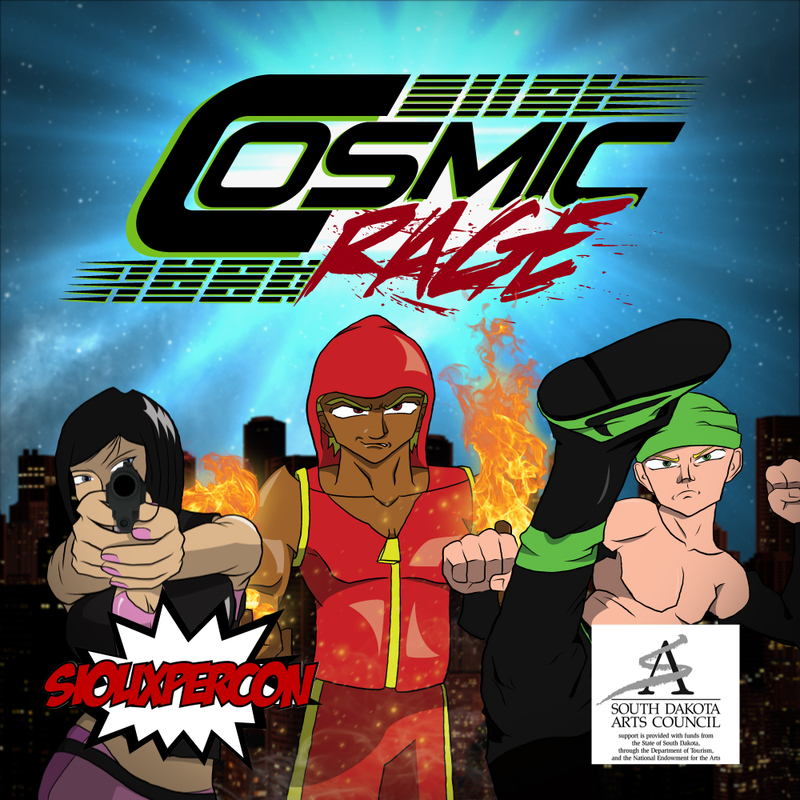 2016 is shaping up to be a very exciting year for Cosmic Rage. This week, I am back on animation! Voice Over Audition Closing Date Announced! Closing date is Friday, November 13th! Voice over auditions have been open for a few months now. I have received a lot of awesome auditions, but if you were holding back or just heard about the project you have another month to audition for any characters. Check out the auditions page to learn more about the characters and also compensation for each role. Feel free to contact me if you have any direct questions about the process or if you have any issues with downloading the audition packets. Looking forward to hearing more auditions and working with the chosen voice over talent in the near future! Thanks everyone!